t all started with tracing our hands like turkeys for Thanksgiving and gluing on wildly beautiful feathers. The heavy realization dawned on me and I’ve never been able to shake it since; I stink at crafts. Not just an “Oh, I accidentally left a sandwich out overnight” stink, but an over-the-top “Something must have gotten stuck in the wall and died” stink. It’s true. Try as I might to get crafty, I usually fail miserably. So why did this cool cellphone craft jump out at me? Because Momma didn’t raise a quitter. Who among us hasn’t wished our cellphone wasn’t laying around on the floor haphazardly while it’s charging? 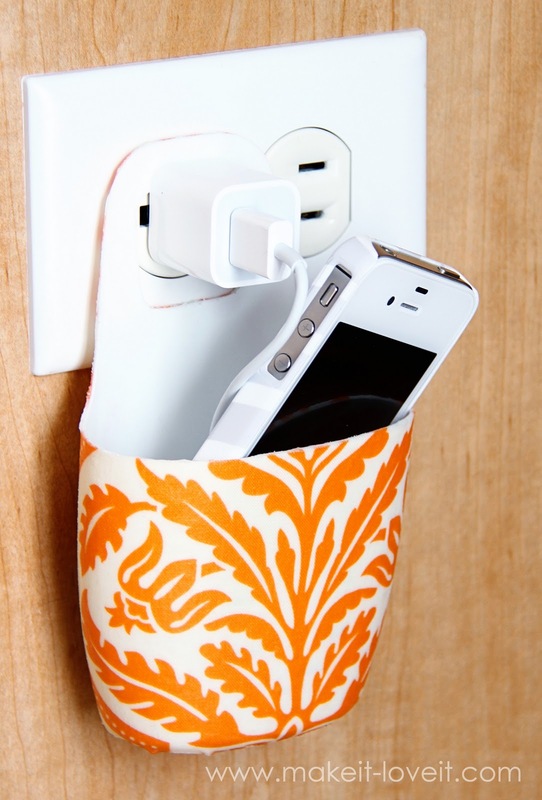 Well, MakeIt-LoveIt has a solution that is as clever as it is cute. 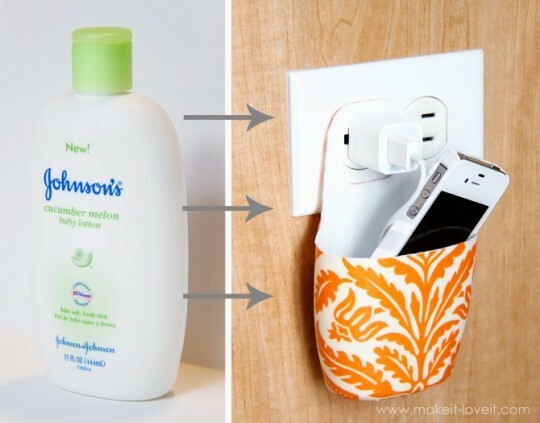 This ingenious idea came from a used baby lotion bottle turned cellphone holder…all with scissors, Modge Podge, and some fabric. How easy is that? You know you want to try it. It takes no time at all and your cellphone won’t be exposed to the harshness of the floor, the curiosity of the cat, or worse…the smooshing of a shoe. Find the entire tutorial here.